ONRAD Announces Participation in AHRA Annual Meeting - ONRAD, Inc.
Visit ONRAD at Booth #424 to learn about the company’s complete radiology solution, which can include teleradiology services, technology consulting, subspecialty teleradiology interpretations, and professional radiology staffing. As a partner, ONRAD provides more than just teleradiology interpretations. The ONRAD executive team develops strategies to help each customer be more competitive in their local community. Visitors at ONRAD’s AHRA booth can also register to win a Dell Inspiron Mini 10. At only three pounds, this Netbook is easy to take anywhere in the hospital. Those that can’t make it to the show can enter to win by subscribing to the ONRAD blog. The blog contains healthcare and radiology news and encourages participation from industry thought leaders. Subscribe to the blog and become part of a network of other radiology professionals focused on sharing ideas and improving their businesses. Subscribe to the ONRAD blog. Coverage equal to one or more full time physicians at a significantly lower cost when compared to traditional models. Preliminary and final reports 24/7/365 with rapid turnaround time for emergency exams. Additional subspecialty expertise including physicians with fellowship training in Musculoskeletal, Neuroradiology, Body imaging, MRI, Ultrasound, and Breast imaging. Access to ONRAD’s MQSA-compliant TeleMammography program, which provides interpretations for screening exams by fellowship trained breast imagers in 24-48 hours.  ONRAD is a full service physician-owned radiology provider offering customized radiology services including teleradiology solutions, professional staffing, and technology services. As a partner, ONRAD helps its customers increase profitability and improve patient care. Through a unique hybrid model that combines on-site staffing with supplemental teleradiology coverage, ONRAD can provide a significant cost savings. The Association for Medical Imaging Management (AHRA) is the professional organization representing management at all levels of hospital imaging departments, freestanding imaging centers, and group practice. Founded in 1973, AHRA’s 4000 members reach across the country and around the world. AHRA offers a complete slate of professional development programs including a comprehensive selection of educational conferences and seminars, networking opportunities, award winning publications, and the Certified Radiology Administrator (CRA) credential.